Every week I’m contacted by Twins who are experiencing the struggle of being apart from their counterpart, so today I’ve been guided to provide a special message and information for this situation. Go within, as this is where you’ll find the truth and the real solutions. For assistance in connecting with your intuition, cleansing away the negative energy that might be pushing you and your Twin apart and to rise up into a higher state of love – Make sure you Download my Free Energy Cleanse Tool and Guided Meditations For Twin Flames. I get so many emails from Twins whose situation has changed dramatically for the better after using these tools. You can have a look at some of their comments and experiences here. It’s often presented as if Twin Flames are “decreed” to come together or not by an outside source. I want you to know that no one has decreed that some Twin Flames will be forced to stay apart or go through periods of separation. This might be something that happens to many Twins but it doesn’t have to be that way. Please do not expect it, because the expectation and belief that Separation is a necessary stage of the Twin Flame journey will only attract it to you! Love is the fundamental truth of the Twin Flame connection – do not let others’ ideology get under your skin and mess with your experience. Accept and acknowledge that it’s fully possible for Twin Flames to share a journey of happiness and togetherness. This will open the door to this possibility for you, no matter what has happened before. And so it is. Above all, things are not out of your hands – you’re not MEANT to be apart. Begin to look deeper and you will discover the factors that have been creating Separation in your experience. Now, you can begin to uproot the division, making room for love and reuniting once more. 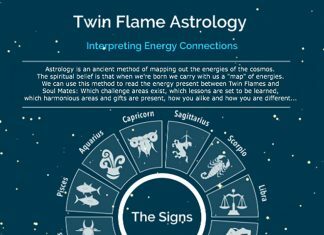 Is Your Twin Flame Unawakened? Are They “Running”? Have a look at this channeled session where we cleanse you and your Twin Flame’s systems of underlying fears and blocks to Reunion, including ancestral negativity around love, sexuality and relationships. We anchor you both into the highest dimension possible for you right now, deleting old karmic wounds, which allows your souls to pave out a new collective timeline for the two of you to come together harmoniously. We also gently rouse your Twin to full knowing by activating their own system’s deep seated light codes to begin to open them up from the inside out. Please do not hold yourself in blame for what you are currently experiencing, as this will only hurt you. Know that Separation is a “neutral” energetic process. It’s about negativity, energetic “baggage” pushing you apart – you are not to blame. You are not doing anything “wrong”. But you can take an active hand in facing the inner shadows that might be pushing you apart, and removing the negative “baggage” that’s causing an energetic repulsion between you. You don’t just have to “wait it out” – in fact I would encourage you not to, as I’ve had clients who had been waiting for their separation phase to end for decades with no change. Negative energy won’t just leave on its own accord, we must face the root of the issues and neutralize the negative charge. If you’d like some help with this, have a look at my Step By Step Roadmap to Twin Flame Union, or the first complete Energy Clearing Session For Twin Flames here. 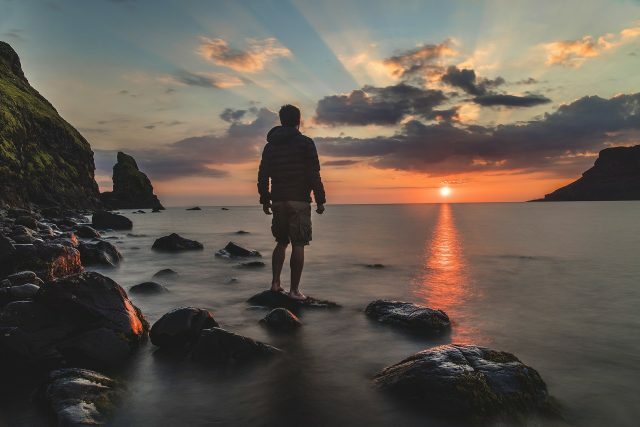 When we resolve old hurts, heal karmic wounds and clear away the heavy “baggage”, the dynamic and the energetic state of our connection changes dramatically. When the Twin Flames are in vibrational alignment, Reunion is the natural state. Separation stems from an energetic repulsion pushing you apart. 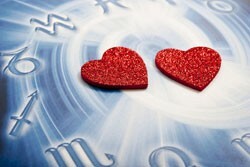 You can test your energetic vibration here – discover whether you are really a match with the Unity and Love you desire. The spiritual truth Twin Flames are being asked to consider and that can and will change things between you, is – you are not actually in separation. It is an illusion. Your souls are always together, there is never true separation between Twin Flames. This is an often tough and challenging lesson to learn, especially on earth where we grow up being taught about categories and borders and separation – to see ourselves as separate people. But once you learn and take in this understanding, trust me when I say that suffering will more and more become a thing of the past. At this now moment, please open up to this spiritual truth – that you are always together, that you are always connected! This will begin to change everything between you. Stop looking for evidence of separation, and start looking for evidence of your souls’ unity. Set the intention right now. This will create a completely different energetic dynamic between you, and it can and will change everything. If you keep looking for separation, you will find more and more of it. Begin to look for unity, for solutions, for ways and reasons that you are already together. You will be surprised at how quickly this can revolutionize your physical experience also. Or alternatively, get a sample of the program with my Free Guided Meditation to Connect with your Twin Flame on the Soul Planes to fuel your experience of togetherness and invite in unity into your physical experience also. To this unconscious part of your being, the Twin Flame connection is TERRIFYING. And the biggest problem with the unconscious is… It’s unconscious! These are the shadows, the inner fears we are unaware of. Most often they go unnoticed. So we can think we’re open to Reuniting when the opposite is the case deep down. Many Twin Flames pray and ask to reunite with their counterpart while simultaneously being terrified of what will happen… Say you want to reunite with your twin but are afraid they’ll run again and you’ll get hurt – you’re sending double messages. It’s like driving left and right at the same time. It doesn’t work! It means nothing can happen because we’re cancelling out our own intentions. When and if your unconscious faculties are hitting the brakes behind the scenes, it means deeper work is needed. In order to open up to Reuniting, you have to face the shadows and figure out what’s really happening. The deeper fears have to be uprooted. And yes, you can help your Twin Flame do this on a soul level if they’re the one “running”. In all the readings I’ve done tuning into Twin Flame runners, it’s never because someone else makes them feel more passion or love or is more exciting. It’s because of fear. Inner child healing can be incredibly transformative on the Twin Flame journey, especially in terms of discovering and uprooting unconscious fears. Have a look here for more. If you’re experiencing physical separation with your Twin Flame right now, ask yourself what you might be asked to learn or work on yourself. What is the lesson in this situation? Are you working on an important project and actually would benefit from focusing on this fully? Are you resolving early life soul contracts with others? Are you in a state of geographic transition, looking to make life changes? Are you in need of finding deeper self acceptance and inner wholeness? Your current physical separation could be “arranged” for your benefit. And if this is so, know that it’s not permanent, and it’s to help you long term. Your old beliefs and patterns might need to be reevaluated and past situations to be resolved once and for all. It serves the purpose of reflection and being given the opportunity to see things from a different perspective and move on into unconditional love. As always it is up to you whether to do this work, to resolve the “lessons” and release any old baggage, or to remain where you are… it’s always your choice. And in that choice, there is never any rush in getting to the best choice for where you are and where you want to be on your Twin Flame journey. Your soul is always supporting your highest good and your learning experience of life. Sometimes its priority is not to bring you physically together with your Twin, but to uplift you where you’re at right now. And with the Twin Flame pairs, everything is double sided – we are both learning lessons and balancing our inner energies as individuals, but also learning and balancing our dynamic between us. A complete healing session to uplift your connection and remove triggers of hurt and separation. You and your Twin Soul’s higher faculties could be creating separation in periods, to give you space to deal with your own personal “stuff”, to relax, to find your own inner space of peace and self acceptance, to connect to your inner state of wholeness before attempting to come together. Take a moment to close your eyes and relax, then visualize you and your Twin Flame moving to embrace each other. As you embrace, feel how your hearts react to each other. When there’s a block I’m often shown one Twin being “repelled” by the other, as if there’s an invisible wall between the twins, and there’s a distinct feeling of the heart being shut. Is your heart really open? In order for the Twin Flame connection to open in unconditional love, the heart chakra must function healthily and energy must be able to move freely through our system. When there are blocks and wounds in the heart, the Twin Flame connection becomes restricted. 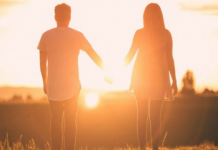 To open your heart and help you and your Twin Flame shift into a higher state of being where your energies will relax into a smoother journey – opening to reuniting – have a look at this Higher Heart Transformation Journey. I hope you found this article helpful. There is so much love there for you. Please don’t get discouraged, you are infinitely capable and there really are good things in store for you – try to focus into that positivity and don’t let fear based thoughts drag you down. Want more? Download the Free Twin Flame Help Kit which contains meditations from my full Vibrational Alignment Program and get info on the awakening code 11:11 and the Ascension process going on across the planet right now, plus a deep Alpha Level meditation to connect with your Twin Flame on the soul planes right now. Or, for my step-by-step “roadmap” to Twin Flame Union, have a look here. Sign up here to get my Free Guided Meditations and to be the first to receive the Free Weekly Energy Forecasts in your inbox!